I was very pleased to be sent a copy of Thenford to review as I had read a couple of articles about the book and interviews with the Heseltines and I thought it sounded interesting. I was already aware that Michael Heseltine was a keen gardener and indeed that he owned an arboretum (oh to own an arboretum), but Thenford is so much more than an arboretum. Some of the chapters are written by Anne and some are written by Michael. I really liked this approach as it gave space to their different voices and perspectives. It also seems to mirror their roles in the garden, they each know their strengths and focus on the bits that they know they are comfortable with. Anne is a collector of sculpture and Michael is the collector of plants. Together they have created a series of gardens at Thenford that are quite frankly astounding. The book goes into great detail of the history of the place, their purchase of it and then the creation of each part of the garden. There are large overview maps and then smaller detail maps to show the area each chapter is covering. The Heseltines have worked with what the estate already had and at the same time created whole new spaces and gardens. They are gardeners of this modern era as they extensive photographs of when they bought the house and how the spaces have developed up to the present day. They also have many historical photographs of the house which are small vignettes of social history. This book is very much about the Heseltines as people rather than focusing on Michael as politician though of course the two things interweave. 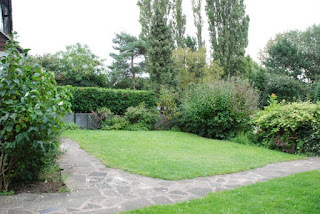 There is a mention of a protest that took place on the property and also descriptions of visits and gifts from important people from all over the world; but this is all secondary to the story of the garden. What shines out from this book that whilst they do clearly have more financial resources than many of us and whilst this has enabled them to plant out their dreams in a way that most of us can hardly begin to dream about; they are real gardeners and have made mistakes the same as the rest of us amateur gardeners do. The passion and commitment to the garden is palpable and I have to say reading about this garden makes me see Michael Heseltine in a new light. 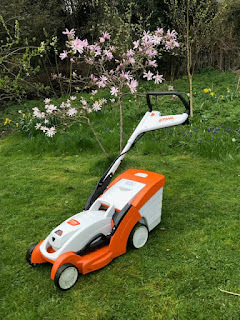 I was very pleased to see that the Head Gardener, Darren Webster is given a section and due thanks is given to the gardeners who have been instrumental in making the Heseltines' dreams a reality. I am going to go so far as to say that this book describes an important garden. 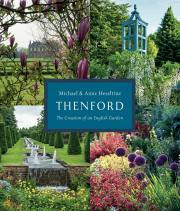 Thenford has been made and developed with the same passion and vision that has enabled great gardens of the past to be created. After reading the book I am left with the overwhelming wish to visit this garden and experience it for myself. Thenford is very much a private garden and it is their family garden but it does open occasionally for the public and it has definitely gone on that ever-growing list of places to see.